Three decades of ATV manufacturing experience has led to the KingQuad 750 AXi Camo, Suzuki’s most powerful and technologically advanced ATV. Abundant torque developed by the 722 cc fuel-injected engine gives the KingQuad the get up and go that’s a must-have for Utility Sport ATVs. 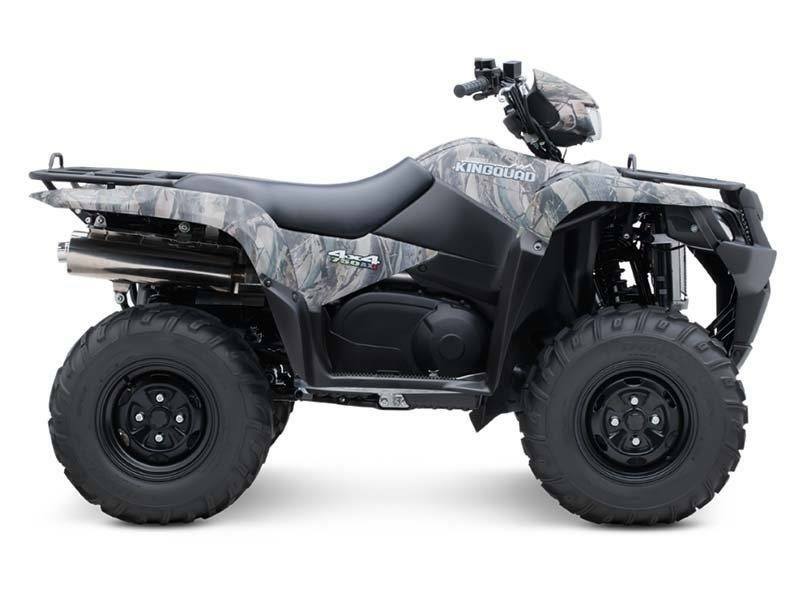 With an independent rear suspension, locking front differential, and a handful of other features, the KingQuad 750 AXi Camo comes loaded with all the necessities to make sure you get the job done. 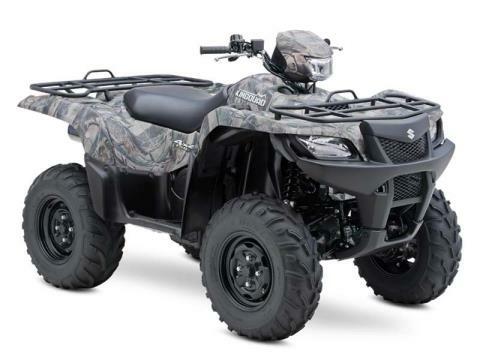 If you’re looking for a utility sport ATV, find out what makes this Suzuki worthy of the name KingQuad. This KingQuad is available in True Timber to help you blend in when you don’t want to be seen. Fully independent, A-arm and I-beam rear suspension with long suspension travel (7.7 inches of wheel travel), includes large diameter shock absorbers with five-way spring preload adjustment and large diameter rear sway-bar. Pressed-aluminum black wheels for reduced unsprung weight.